Morning cuties! I wore this outfit last Friday before we changed for the Halloween Party – one of my favorite fun occasions of the year. We had some time to spend so we headed to the park nearby and ended up having fun taking a million pictures. I can’t stop wondering how fancy the weather is this fall! We have November and 20°C above zero!!!! That is just amazing. Can’t even imagine the weather can change! Hope you guys had a good weekend and so excited to hear about your Halloween night! Thanks for stopping by! Loving that trench, such a lovely colour on you. Here’s to hoping you’ll continue getting nice weather for a few more weeks yet! I love it!! Amazing look!! I totally love your outfit, those sunglasses are real classics! I hope the weather stays like this as well! Yeah right? This trench coat is a must-have this fall! That trenchcoat is to die for! Love the color and style! Your bag is also great! 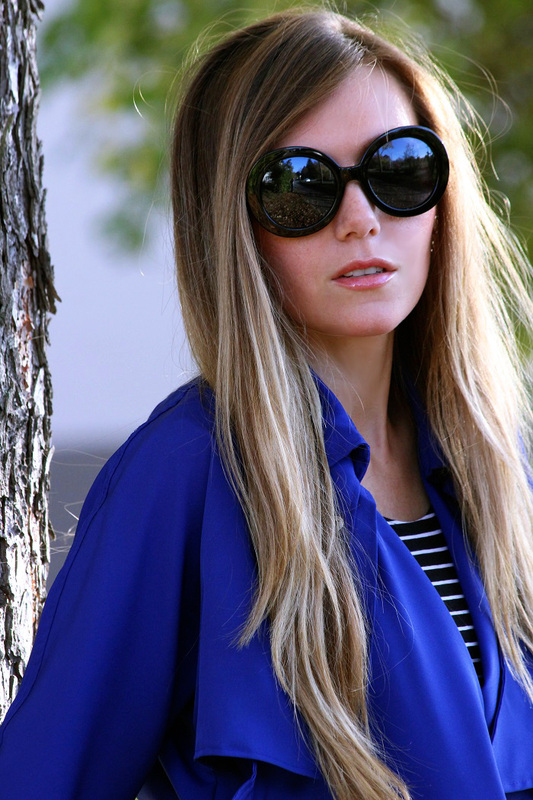 I love this blue trench, such an awesome color! You look beautiful! I love the coat and the shoes!! Sometimes it is just great to take time & do personal stuff. Wish you a great week dear! 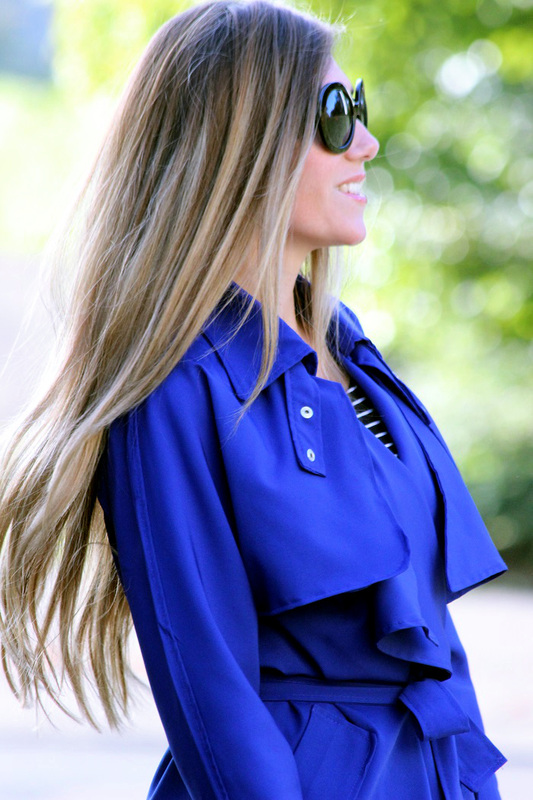 Such a gorgeous blue jacket! I love it on you! I love that Blue trench!! Cobalt blue looks so good on you! Such a great fall look! Your heels and coat are amazing!! I love your trench blue! This color is just incredible!